This isn’t much of a recipe, but it’s a great meal and will hopefully inspire other meal ideas. 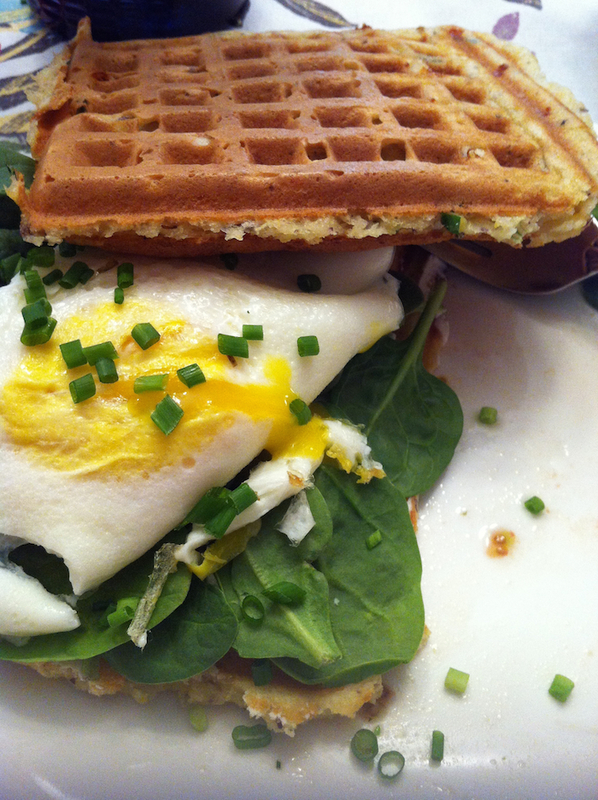 These waffle egg sandwiches are also great for any meal of the day. I had them for brunch, but with a bunch of leftovers in the freezer it’ll be easy to make more for breakfast, lunch, or dinner. Spread whipped feta on one waffle. Top with spinach and egg. Devour.